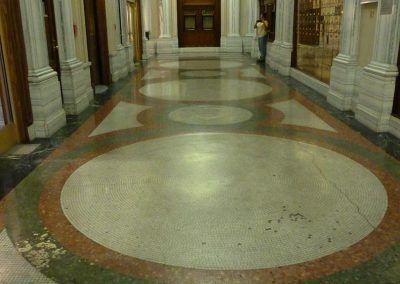 Designed in 1909 by the Supervising architect of the U.S. Treasury Department, the Spokane Federal Courthouse is an ornate Beaux Arts Classical building listed on the National Register of Historic Places. 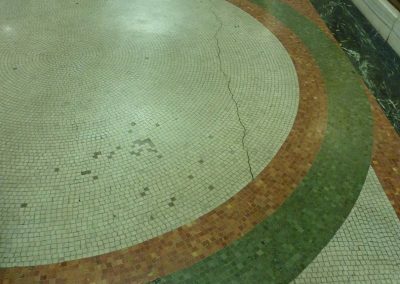 The building’s long and narrow lobby is paved with a mosaic consisting of geometric forms in colored marble and terrazzo. 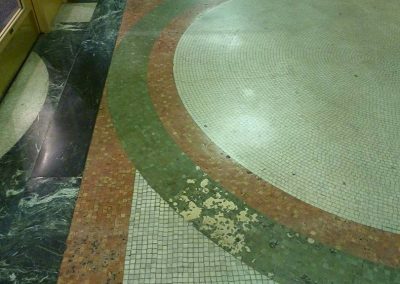 The floor had undergone repeated repair campaigns over the years and had numerous areas of old repairs in concrete and poorly matched stones. 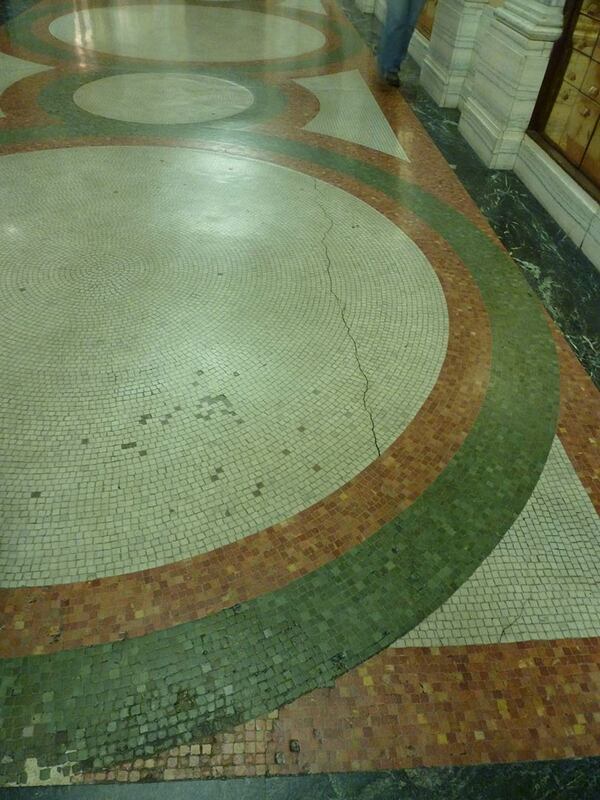 Numerous long cracks traversed the floor, leaving the surfaces displaced and out of alignment. 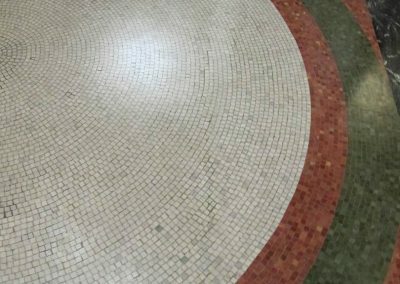 RLA was retained to make all of the repairs to the floor, using a prior conservation assessment report as the basis for treatment. Initial work involved stripping the old coatings that had accumulated over the years and finding replacement stone for losses. 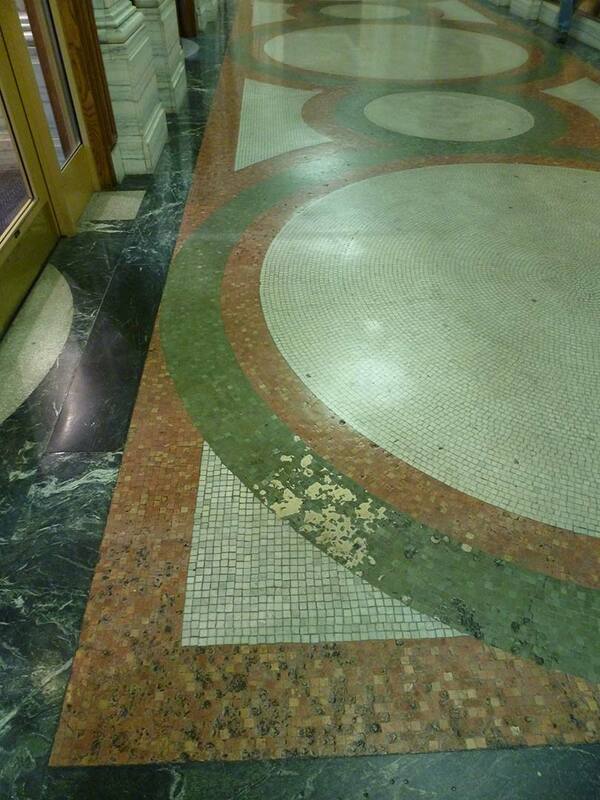 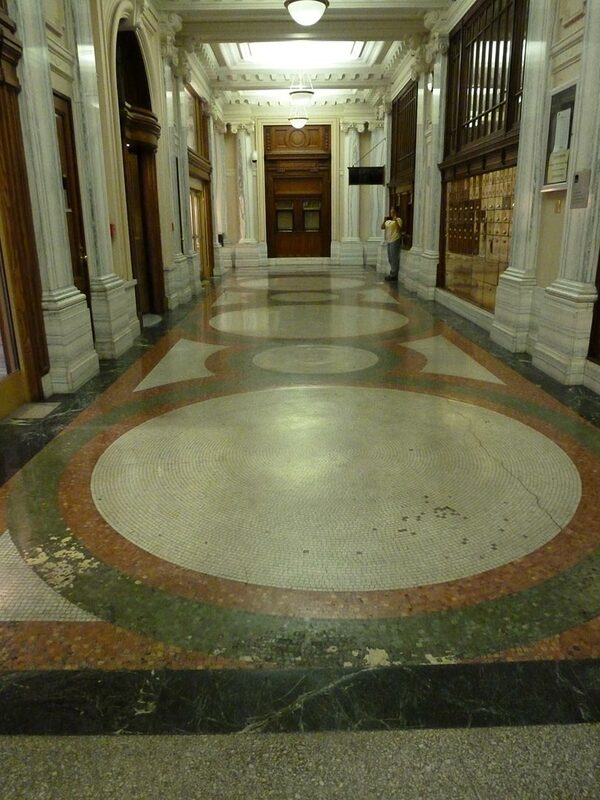 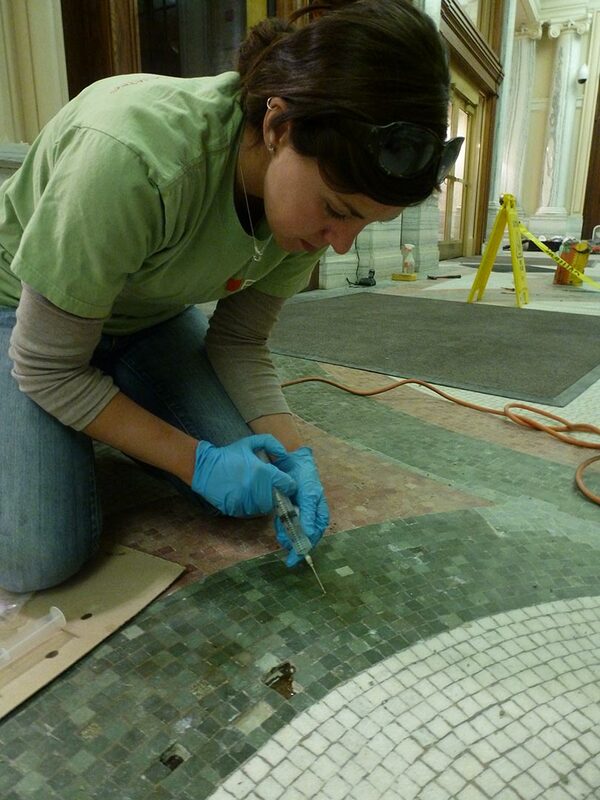 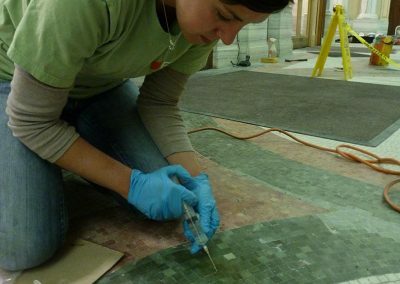 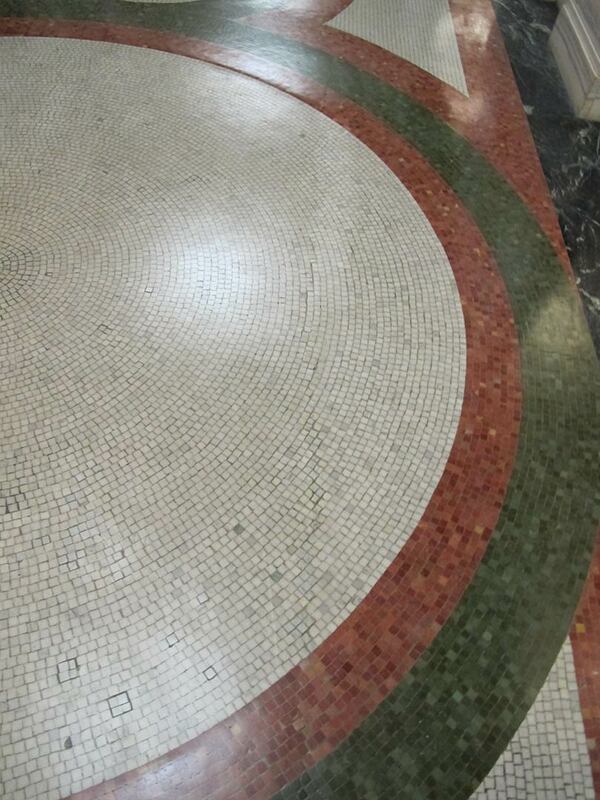 Replacement tesserae were weathered by hand to match the original and numerous mock ups created to meet GSA standards. 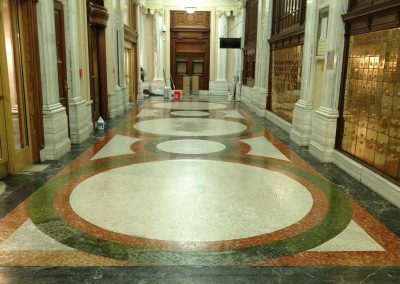 Additional work included excavating cracks, removing all concrete unsightly repairs, replacing stone, grouting, toning grout, and applying new coatings to the stone, one of which is sacrificial. 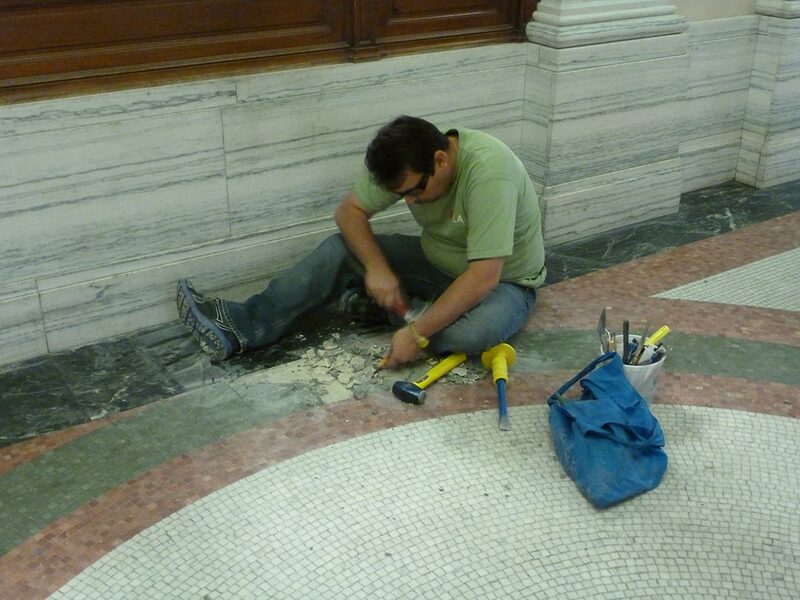 In all approximately 50 linear feet of cracks and 50 square feet of repairs were made. 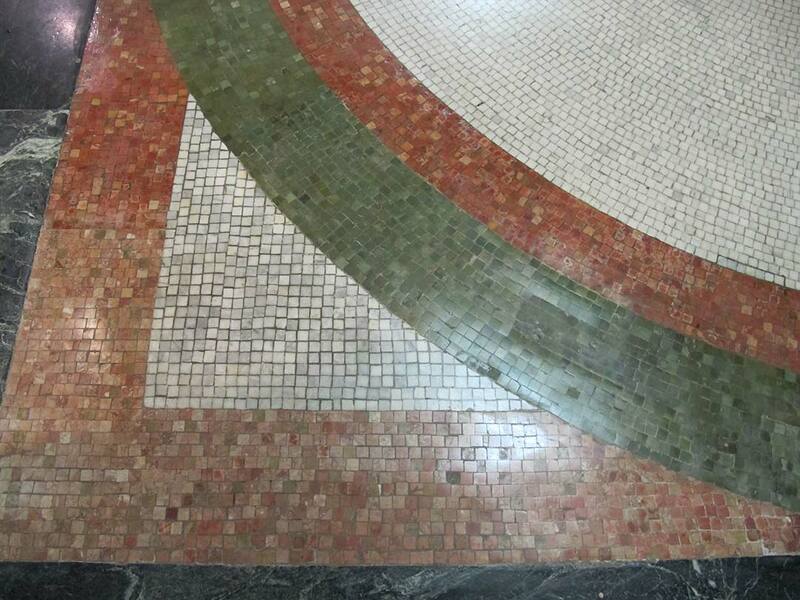 Cracks were completely repaired by removing the stone on either side of them and filling the loss, replacing tesserae in a manner that bridged the gaps.